This is an easygoing free-motion design I want to show you today. This one is good for a quick finish. Not that you need those. Not that you're ever finishing your binding the morning that you have to give away your quilt. No, that never happens. So this is what I call a follow-along design, meaning you give yourself a guiding line and then you follow along that line with the next step. a. To start you give yourself a wavy guiding line. b. Then you come down one side of your guiding line, making a loop in every indentation in the line. c. Now go along the other side of the guiding line, doing the same thing. d. Move over and start a new wavy line. leaving enough room between them for adding the loopy lines. You can see how this gives you a not-completely-plain design but it doesn't ask much more of you than a simple wavy line would. I like a design that can handle natural variability and so I tried practice stitching this one with more and less stretched out wavy lines, as well as varied sizes of circles. It worked well with all of those variables in play, so I think it qualifies as a beginner-friendly design. Here's a no-narration video, because it's so fun for me to show you how I do it! I have been trying to show you my new designs on patchwork so you can see how they might play on a quilt. This is a very busy quilt block but hopefully you can still see how pillowy and lighthearted this design comes across. I LOVE THIS SO MUCH! You always inspire me! I LOVE this design! Thank you for sharing it with us. Oh, that's a great design! I can't wait to give it a try - maybe on the girls' quilts for Christmas! Another good one! I'm glad you showed how it would look on a block. I need to quilt a rail fence quilt and wondered how it would work on blocks, so maybe I'll try it. This gets a big ol' YES from me. I do believe I will employ it on one of the many quilt tops/sandwiches currently awaiting my attention. I like this one a lot and am going to try it on the baby quilt I'm finishing up. Thanks. So awesome Christina! Thanks for sharing these, I'm enjoying them so much and want to try some free motion again! Great design. I love open designs like this that are quick and don't make the quilt so heavy with so much thread build up. Thanks for sharing ! oh I like this quick, easy and great texture! You make it look so easy! I know you've practiced a lot ~ something I don't seem to have much patience for. Great motif. Thank you for sharing. I know just the project this belongs on. This is a great and easy motif. Thank you, Christina. I'm going to try it on the border of a charity baby quilt top I have finished. Oh man! I really have to try a few of your fmq patterns soon! I love them all! 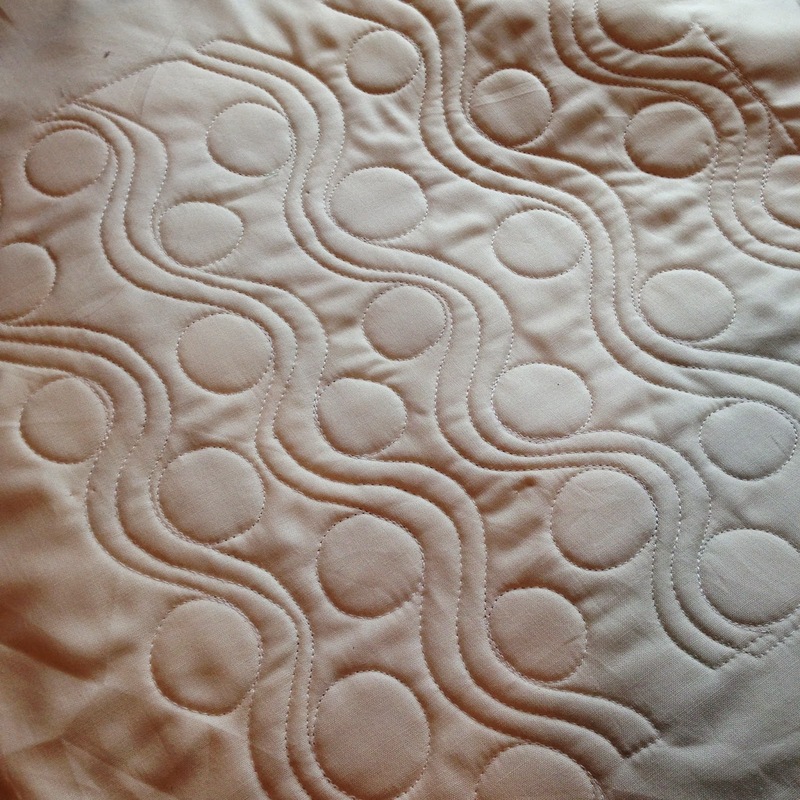 When you quilt your quilts, do you pin or spray baste? great minds, I guess! here is my May 2014 Will the Real Noah please Stand Up? quilt and its FMQing! 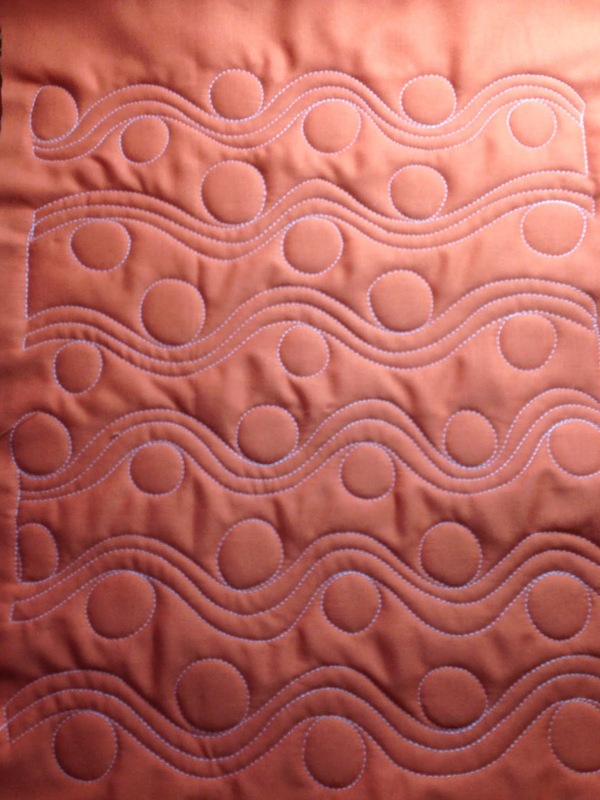 I can see a wavy column of this design looking nice in a quilt border. Thanks for the video. 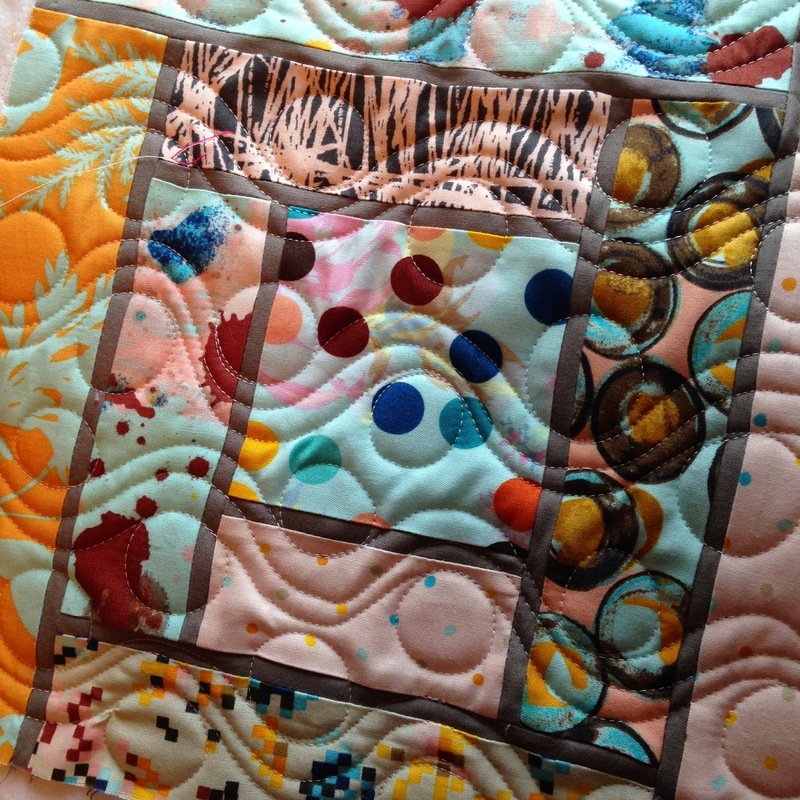 Your cover quilt is absolutely fun! And, your blog looks like a great place for me to learn some machine quilting techniques! Thanks! This design is awesome! I really appreciate the video. All your circles look so perfectly round and evenly sized. Wish I could be so accurate! Okay, here's how my quilting turned out! Nowhere near as awesome as yours, but I loved doing it! I love this design, but I'm having such a difficult time making nice circles. Love them, found a used Juki 2010 and it is great for few!!! Thanks for sharing your skills with us!